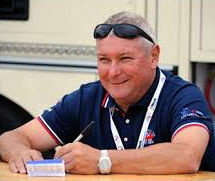 Geoff Billington who is based in Nantwich, Cheshire, started riding at the age of 9. His parents, were not horsey, “Geoff says he followed a group pretty girl’s, and finished up, at the local riding stables!!! !” It’s there that his love affair with horses began. Ten children nine girls, and Geoff, announced in the local newspaper, that they were saving up to buy a pony, a child hood fantasy, but a man rang up and said his children were not interested in the surprise 4 year old pony he had bought them and if they gave £10 to charity, they’d got themselves a pony!!! £1 each. Geoff laugh’s, within a few weeks, they either got boyfriends or lost interest; I’d got my first Pony!! !